Generally, in the Mining process, ore arrives intermittently and requires a consistent flow for further processing in the production line. Retrieving ore from primary storage requires feeders otherwise ore will not flow evenly through any kind of gate mechanism. Surge bins are required at different points in the process chain as they serve as convenient holding arrangement to receive all the intermittent feed and to act as temporary storage units. 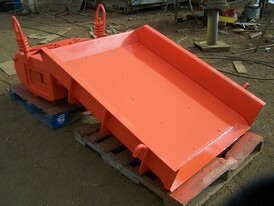 In simple words, a surge bin can be described as a large bin above the crusher into which the ore is dumped prior to being discharged into the primary crusher. A feeder at the bottom of the surge bin helps transfer the ore to the crusher. These are essentially bulk storage containers that provide additional material storage space or are integrated into a material conveying system. Carbon steel is the is the most common material used for building these bins. Bolt-Together, expandable units are available in many sizes which can save on freight and can be enlarged after installation. Key features to be considered are - Sight glasses that can help in a viewing of contents; Sizing should be based on storage space requirement within the bin (consider the angle of repose) and the Exterior finish – which should ideally be painted and sand-blasted. There are numerous types of feeders available for different applications and feeders are used in many different industries; ranging from mining to pharmaceuticals, to agriculture. Feeders are Used in conjunction with various other types of material handling equipment, feeders will be commonly found with equipment like crushers, dryers, grinders, conveyors, blenders, and mixers. An effective feeding process is in which the distance traveled is short and in which close regulation of the rate of passage is done. A feeder typically would consist of a small bin (which may be an integral part of a large bin), with a gate and a conveyor. 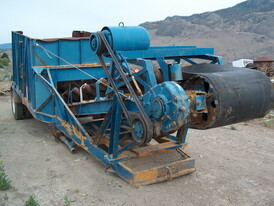 The feeding mechanism regulates the passage of ore through the bin. Volumetric Feeder is meant to help with precise outputs. In a volumetric feeder, the material is first fed into a hopper. In the next stage, vibrations help the material to form a consistent density. Further, the material is leveled off as it forces its way through an adjustable gate at a constant speed. Finally, more vibrations remove any stuck material. A constant density, speed, and opening size ensure that the volumetric feeders achieve a near precise output. Gravimetric Feeder is useful for applications that require extremely precise outputs, and are preferred over volumetric feeders for their control of discharge rate. In this type of equipment, the weight of the material being processed within the feeder can be constantly monitored and controlled. Many types of feeders have been designed some of which are apron, belt, chain, roller, rotary, revolving disc, and vibrating feeders. Apron Feeder: Apron feeders are commonly used to extract or feed heavy bulk materials such as metals and heavy ores. They are popular for applications requiring severe service conditions and impact - including wet, sticky or frozen operations. Here, the apron is propelled by steel chains rotating around metal sprockets. An adjustment of the height of the gate or the speed at which the apron rotates helps to control the rate of discharge. A robust, heavy-duty design can ensure minimal downtime and many years of service life. Belt Feeders: Belt feeders are most suitable for handling light, fine, abrasive and free-flowing materials. They are available as horizontal and inclined Belt Feeders for extracting bulk materials from under a dump hopper or regulating feed to a crusher or screen. Belt Feeders help to provide volumetric feed and even metering to prevent flooding. The belt that carries the material may be a fabric reinforced belt or a steel cable reinforced belt. The belt is propelled by a Drive Pulley and Shaft. The drive shaft is rotated by a Drive Mechanism. A supplementary equipment may include a feed chute, skirt board, a discharge chute and a High-Pressure Lubrication System. Belt Feeders are a trusted and proven economical means of transportation for many industries including mining and power generation. Vibrating Feeders: Vibrating Feeder is a kind of linear-direction feeding equipment, in the mineral ore & rocks processing plants. It sends materials to crusher evenly and continuously. It can simultaneously screen materials roughly and increase the practical handling capacity of the whole production line. They are mostly used for a wide variety of materials, including aggregate, coal, and chemicals. Reciprocating Feeders: Reciprocating Feeder is mainly used for feeding various non-sticky materials. They help to evenly and continuously send massive and granular materials from feed bin to another device. The reciprocating feeder has been widely used in the crushing and screening line of the industries of thermal power plants, electricity, cement and chemical industries etc. 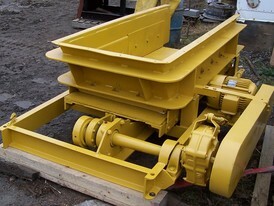 Grizzly Feeder: Grizzly Feeders are most popular for their ability to carry heavy shock loads from trucks and loaders. 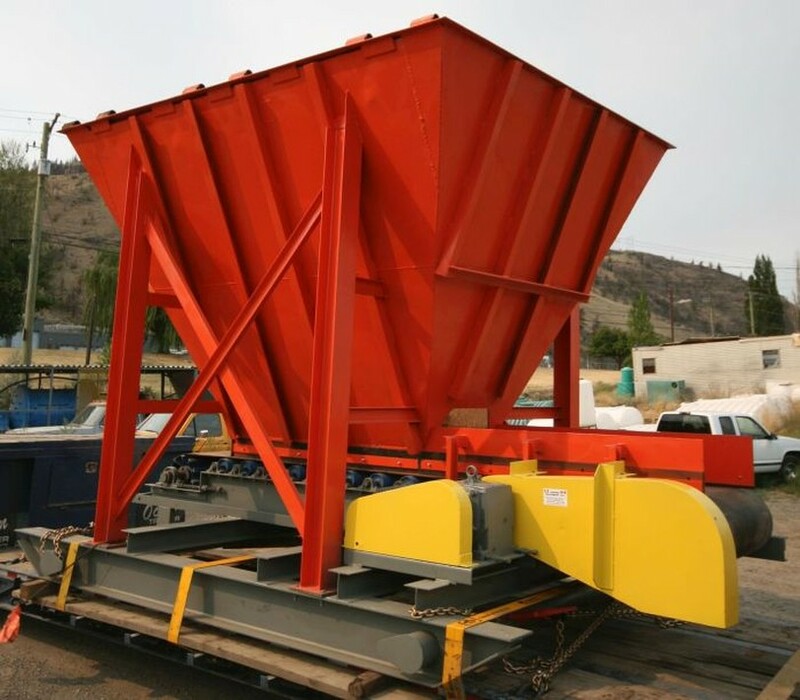 This type of feeder is used in many industries including recycling, quarries, mining, sand and gravel operations, as well as a wide range of mineral processing industries. The grizzly feeder is often used to feed primary jaw crushers. Vibrating Grizzly Feeders are heavy-duty, robust machines that can absorb large surge loads from truck haulage equipment or wheel loaders. They provide an even, regulated flow of material for downstream processing. Grizzly feeders are used in the mining, road building, aggregates, bridge construction, quarrying, recycling, construction, and cement industries. 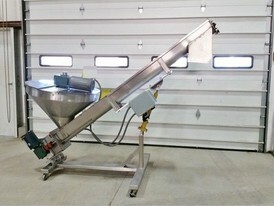 Vibrating feeders are a common sight at almost all kinds of minerals & rocks or some other materials processing plants. 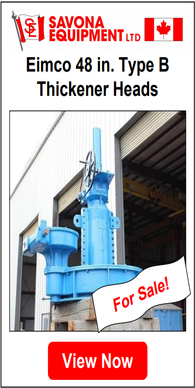 The leading manufacturers of Feeders include Metso, Komatsu, Eriez, Cedarapids, Telsmith, Terex, FLSmidth, Merrick Industries and Sandvik. Savona Equipment supplies new and used feeders and hoppers of all major manufacturing companies. 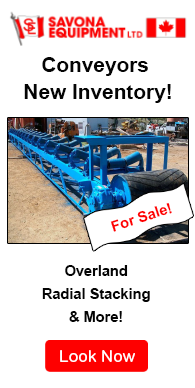 Here is our full inventory of Feeders & Hoppers. Still not sure which feeder to buy? Contact us with your requirement.